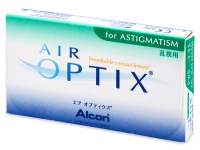 Air Optix for Astigmatism are monthly, toric contact lenses. 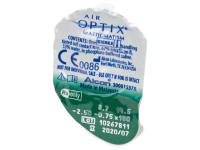 Their silicone-hydrogel material helps ensure maximum comfort and allows for the possibility of extended wearing. 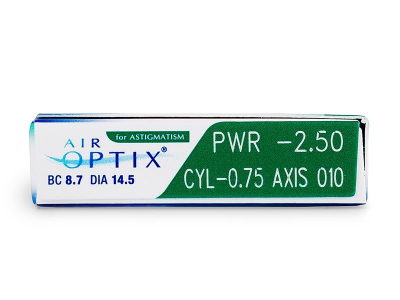 They are lightly tinted for easier handling. Air Optix for Astigmatism are silicone-hydrogel contact lenses by Alcon designed to correct astigmatism with a monthly replacement schedule. 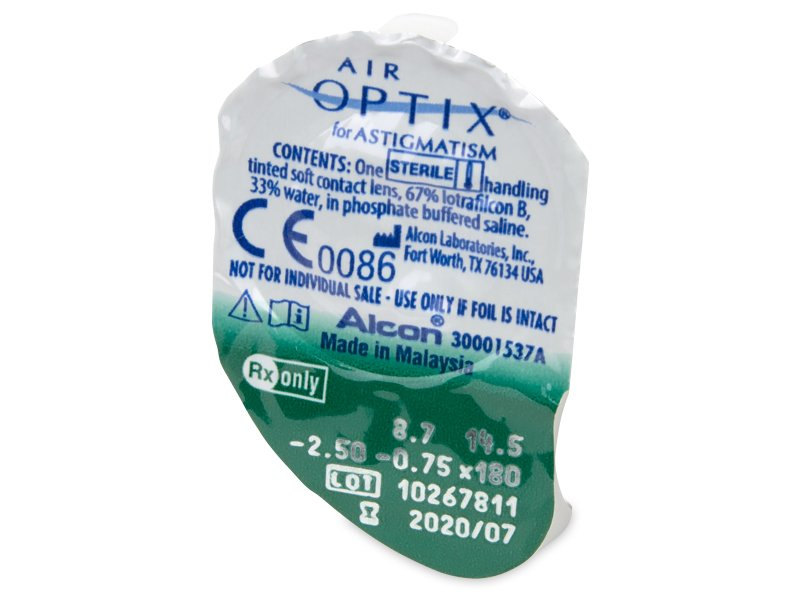 The innovative, silicone-hydrogel material, known as Lotraflicon B, guarantees high oxygen permeability, which enhances the comfort of wear. This package of Air Optix for Astigmatism contains six lenses. 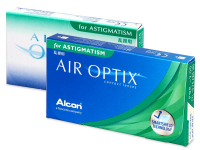 Read more about Air Optix for Astigmatism. 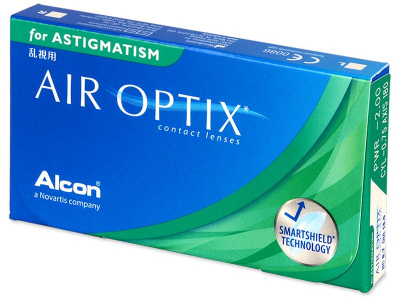 Great lenses for those of us with astigmatism. They sit well on the eye and feel good for the whole day. You really feel the benefit of the added moisture. Are Air Optix AStigmatism suitable for dry eyes? Confused by the packaging, what is the difference between the white box with green top and blue base (this is the packaging I am familiar with) and the other packaging which is mainly blue/green? Thanks for your message. The contents is exactly the same. The updated packaging is slightly different but this is the only difference, everything else remains the same. 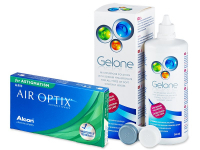 Hi, I have used these lenses ever since changing from the hard contact lenses. Please can you make these in daily form...no-one does and this is very frustrating.